Hair refreshers are a godsend to some, but finding some that are not sticky, cakey, or flaky is challenging. Not all curlies want to wet their hair everyday, but for a long time finding the products that would perform well was far-fetched. As the natural hair movement has brought curlies, coilies, and wavies to the forefront, the products for our tresses has quadrupled (if not more)! That would include refreshing sprays and spritz that give us the life we need for second, third, and even fourth day hair! It’s about time we don’t have to jump in the shower every time we want to refresh our curls. Check out the Top 15 Hair Refreshers in the slide show below. Dry hair needs moisture and this leave-in conditioner is perfect for achieving amazing second day hair. It’s great for a midday refresher and perfect for fragile, color-treated tresses. A spritz this loaded down with goodness is always a winner. It has organic aloe vera juice, Ayurvedic herbs, and essentials oils that will stimulate your scalp and bring your coils back to life. Here we have a knap-petizing, moisturizing blend of hibiscus leaves, sweet ginger, agave nectar, and lavender water that will feed your hair a tropical treat! This hydrating blend of goodness will awaken your dry, thirsty curls from their slumber and give them life on second day like it was the first day. This oil-free, vegetable moisturizing herbal essence will stimulate your scalp and senses while giving your curls lovely shine. It's perfect for detangling and strengthening your tresses and keeping your curls perky and not weighed down. Back off frizz! Carol’s Daughter has a refresher spray that locks in the moisture, controls frizz, and gives tons of shine. Agave nectar, wheat protein, and sweet almond oil will condition, strengthen, and soften your tresses while pepping up your coils for a second day style. 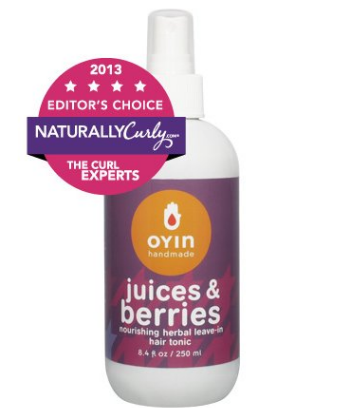 On the NaturallyCurly’s 2014 Editor’s Choice list, Mop Top Detangling & Refresher spray is a favorite for good reason. Sea botanicals and honey help hydrate your thirsty curls while penetrating the hair and bringing out shine and softness. It brings you no silicones, no parabens, and all water-soluble goodness for your strands. Our hair needs moisture and this spray will enhance your definition and shine. A little goes a long way so say goodbye to bed head and say hello to second hair perfection! This is a superior moisturizer that will hydrate, condition, and resuscitate your curls. Experience a newer level of exquisiteness with this spray for second day hair. Looking for a shot of moisture? Try this conditioning spritz perfect for everyday use without the stickiness. Watch your curls awaken daily with this overachieving moisturizing refresher for locs, twists, curls, and braids! An immediate transformation from dull, dry tresses to spongy, gorgeous curls are achievable with this curl mist. You can use this on dry or wet hair to rejuvenate your coils and make them sing. It’s not just curls that get refreshed with this curl refresher. Twists, twist-outs, and updo's will be better defined and revived without build-up or chalkiness. Your style will be given extra life and shine that’s refreshing and beautiful. 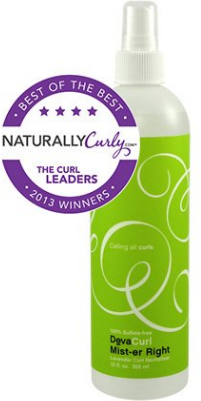 A Best of the Best Winner on NaturallyCurly’s 2013 list, this curl refresher breathes nourishment into a dull, dry scalp and hair. 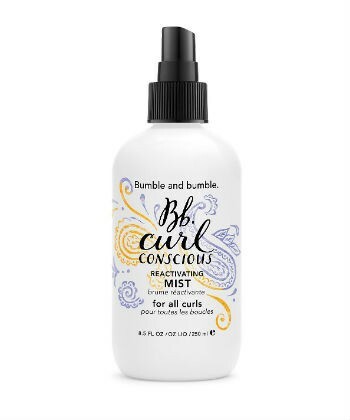 Infused with lavender to cleanse and rejuvenate, this mist is perfect for all curl patterns. Here is a lightweight leave-in that will soften, moisturize, and fight off frizz with an abundance of botanicals and anti-oxidants. Potent against dry hair, it’s made for reviving messy curls in need. Second day hair is easy with this spray, and it’s great for midday spritzes as well. This is formulated without oils or waxes to weigh down your tresses. Here is a mist to awaken your strands with supple support and a lightweight touch. It’s made for frequent spruces needed throughout the day and will not allow a curl to frizz or become sticky. This lightweight aloe based styling serum is made with all natural ingredients and will fight frizz like a champ! With vitamin B-5 to pump up your hair’s moisture, this is a great tool to smooth out those dry curls and make your second day hair amazing.